Learn how to build model boats and ships from plans or kits - static or radio controlled - sailing or electric power. 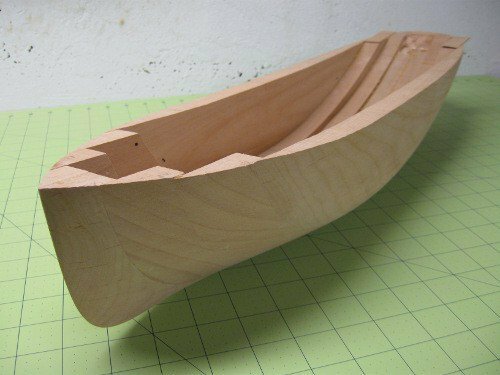 Are you intrigued by building model boats, but don't know how to get started? Are model ship plans nothing but a bunch of lines to you? Perhaps you are looking for plans for your next project? Or maybe you're looking for a new hobby to help you wind down after a busy day? If this sounds like you, you've come to the right place. This website is where I share tips and tricks I’ve picked up in this hobby for the last 25 or so years. It’s not rocket science, but sometimes the wheel gets reinvented one too many times in this hobby. I do admire those that can spend several years, adding detail after detail on a single model. I truly envy the patience they possess and, more importantly: the time they have available! Little by little I'm building up a small catalog of plans for download. First out is the civil war era USS Monitor and her nemesis - the CSS Virginia. As time permits, I'll add more plans. Current projects include a balsa PT 109 and a number of other model ship plans. Waiting in the wings are ironclads, pirate ships, torpedo boats, battleships, tugs, destroyers, a New York pilot schooner and many other. OK, enough talk, let's build something. And don't forget to have fun doing it!